We are bringing together experts across multiple industries and disciplines to explore the concept of biophilia - the idea that human have an innate need to connect with living things and nature. Through a PechaKucha style speaker series, we will hear from individuals who work with and within nature to understand how a connection with the natural world impacts the human/user experience in their respective fields. 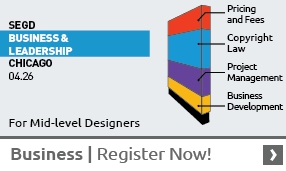 Represented fields will range from product design, exhibition design, art, and architecture. 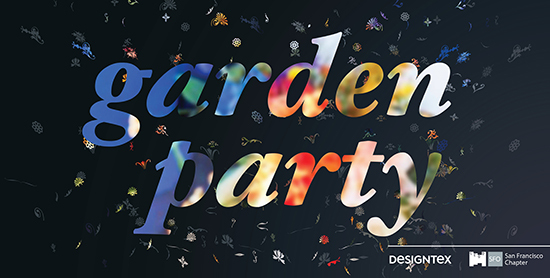 Designtex will be hosting us at the Steelcase Showroom in the SOMA neighborhood of SF, where we will enjoy botanically inspired cocktails and appetizers in their garden courtyard before heading inside the showroom for the speaker presentations. If any of you were able to attend the 7 x 7 Placemaking event during SF Design Week 2016, you know that this is a fun evening that will engage and inspire!